Looking for a sweet, healthy treat? 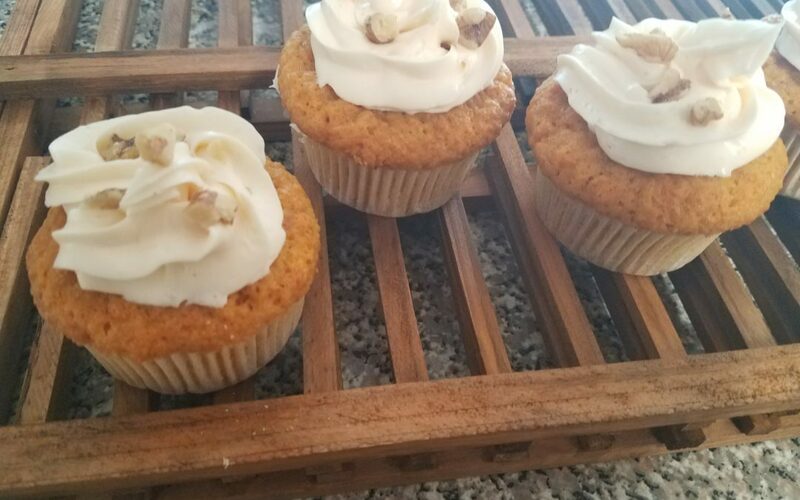 Then look no further than my delicious carrot cupcakes! Growing up one of my absolute favorite desserts was carrot cake, much to the chagrin of my siblings. Every year when our birthdays came around we had the great privilege, and responsibility, of choosing what kind of cake we wanted. While carrot cake was particularly appealing to me, my sisters weren’t as thrilled by the idea. Maybe they would’ve been if they could’ve tried my carrot cupcakes instead. As I’ve gotten older my love of carrot cake has only grown and now having six (yes, six!) nieces, it is my mission to show them how great vegetables can be in a dessert. In order to appeal to their need for yummy looking foods, I decided to spice things up by changing my regular recipe into a fun cupcake treat for them all. They’re super easy to make, and they add a great pop of color to any meal! 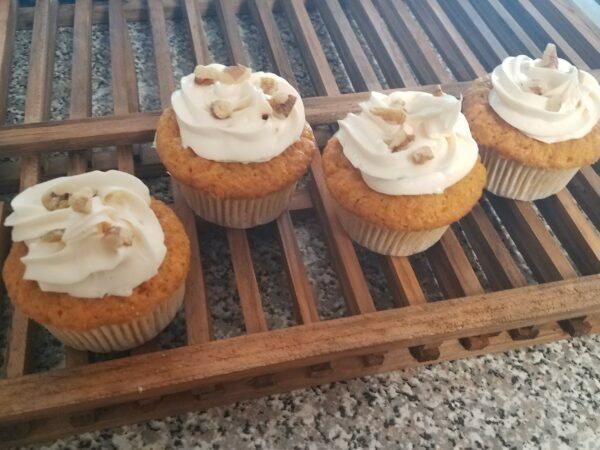 If you like carrot cake, then you'll love these delicious, moist, and simply sweet carrot cupcakes! Line muffin tin with 12 baking cups, or brush with oil. Shred 2 cups worth of carrots. In a medium sized bowl mix flour, baking powder, cinnamon, nutmeg, and salt. Then, in a large bowl beat eggs while gradually mixing in both the cane sugar and brown sugar. Next, add applesauce and vanilla extract to egg mixture. 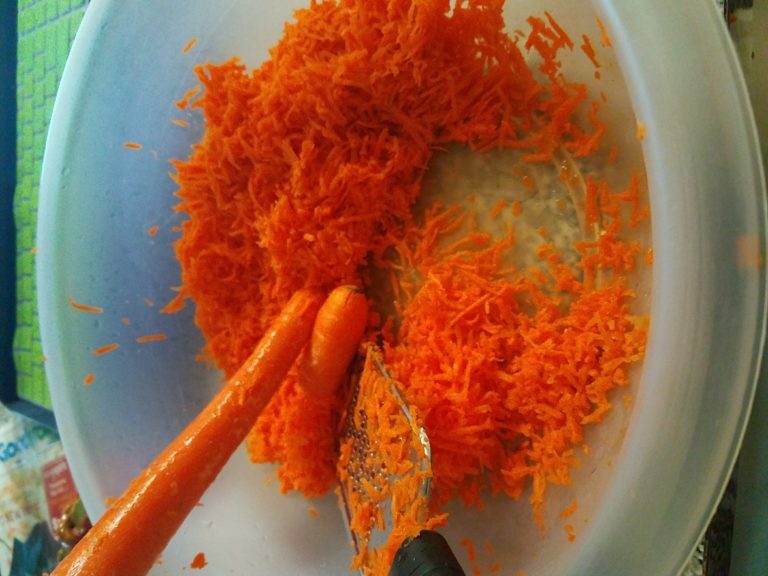 Fold dry ingredients, and shredded carrots, into egg mixture, making sure to combine well. Pour batter into baking cups, about 3/4 full, and bake for about 25 minutes- or until a toothpick inserted into the center of the cupcake comes out clean. After baking, set the cupcakes out to cool before icing. 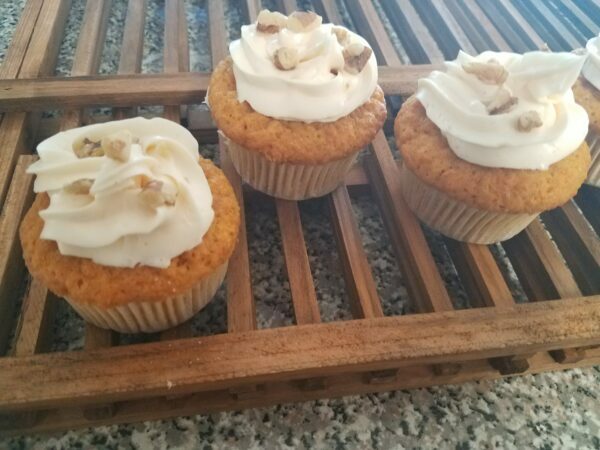 Decorate cupcakes with icing as desired, adding chopped walnuts as a garnish. These look delicious! My kids love cupcakes, so I’ll be trying these with them!! They must be delicious! My cousin likes to cook and bake, i will pass her the recipe! These look amazing and a good carrot cupcake is always welcome! The recipe is similar to the one I often use but never heard of adding apple sauce.